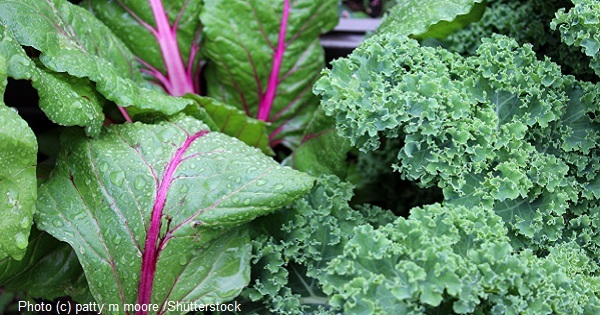 Kale and Swiss chard are two of the healthiest vegetables around. And yet, many people don’t know how to serve them, which means they’re doing without some pretty powerful nutrients. Kale is a leafy green vegetable that belongs to the Brassica family, a group of vegetables including cabbage, collards, and Brussels sprouts that have gained recent widespread attention due to their health-promoting, sulfur-containing phytonutrients. It is easy to grow and can grow in colder temperatures where a light frost will produce especially sweet leaves. There are several varieties of kale; these include curly kale, ornamental kale, and dinosaur (or Lacinato or Tuscan) kale, all of which differ in taste, texture, and appearance. In most area, kale is in season from the middle of winter through the beginning of spring. Kale has antioxidant, anti-inflammatory, and anti-cancer benefits. It is recognized as providing comprehensive support for the body's detoxification system. High in close to fifty different flavonoids, it has been shown to lower the risk of cancer of the bladder, breast, colon, ovary, and prostate. Kale's cancer preventive benefits have been linked to its concentration of two types of antioxidants – carotenoids and flavonoids. Within the carotenoids, lutein and beta-carotene are standout antioxidants in kale. They are key nutrients in the protection of our bodies from oxidative stress and health problems related to oxidative stress, such as cataracts, atherosclerosis, and chronic obstructive pulmonary disease – in addition to cancer, of course. Kale can supply a large portion of our recommended intake of the omega-3 fatty acid (alpha linolenic or ALA). It is also a huge source of vitamin K, which is a key nutrient for helping regulate inflammation. In addition, kale is high in fiber (seven grams per one hundred calories). Look for kale with firm, deeply colored leaves and moist stems. The leaves should look fresh, be unwilted, and free from yellowing and small holes. Kale with smaller-sized leaves will be more tender and have a more mild flavor than larger leaves. Stored in the refrigerator, kale will keep for five days. However, the longer it is stored, the more bitter becomes. Do not wash kale before storing because exposure to water encourages spoilage. Kale is at its tastiest and healthiest when it’s been steamed for five minutes. First cut the leaves into half-inch slices and the stems into quarter-inch lengths. Let them sit for at least five minutes before steaming. Top each portion of steamed kale with a dressing made from two teaspoons of lemon juice, a pressed medium clove of garlic, and one tablespoon of olive oil. My family also likes to eat kale chips. Chop or tear a bunch of wash kale leaves into pieces. Mix two tablespoons of apple cider vinegar or lime juice with a couple of tablespoonsful of olive oil. Pour it over kale and massage well into the pieces. Spread out on a baking sheet in a single layer and bake in a pre-heated 350 F oven for about ten minutes, or until crispy. Or dry them in a food dehydrator. I’ve also braised chopped kale and apples in a frying pan. To serve, sprinkle with balsamic vinegar and chopped walnuts. Steamed, chopped kale is excellent in pasta dishes. Try mixing the kale and cooked pasta with pine nuts and feta cheese, then drizzling with olive oil. Shuck the corn and scrape the kernels off the cobs. Saute the onion and garlic in olive oil. Add the vegetable stock and kale. Simmer for about fifteen minutes, until the kale is tender but not mushy. Add the corn kernels and simmer another few minutes until all vegetables are cooked. Serve over a bed of brown rice, or in a bowl. Similar to spinach and beets with a flavor that is bitter, pungent and slightly salty, Swiss chard is a tall, leafy green vegetable with a thick, crunchy stalk that comes in white, red, or yellow with wide fan-like green leaves. Both the leaves and stalk are edible, although the stems vary in texture with the white ones being the most tender. Although Swiss chard is available throughout the year, its season runs from June through August when it is at its best and in the greatest abundance at your local supermarket. Its health benefits are too numerous to mention here. Suffice to say that chard has high concentrations of vitamin K, vitamin A, vitamin C, magnesium, manganese, potassium, iron, vitamin E, and dietary fiber. It is also a good source of copper, calcium, vitamin B2, vitamin B6, protein, phosphorus, vitamin B1, zinc, folate, biotin, niacin, and pantothenic acid. The combination of traditional nutrients, phytonutrients, and fiber in chard makes it effective in preventing digestive tract cancers, especially cancer of the colon. Animal research also suggests that Swiss chard may confer a protective effect on the kidneys of diabetics. And its high levels of vitamin K – three times your recommended daily dose with just one cup – and magnesium means it is a major curator of your bones. Its high levels of beta-carotene and vitamin A also make chard important to maintaining good vision and protecting against cataracts. Beta-carotene may also help to protect against certain forms of cancer since it belongs to the family of phytonutrients known as carotenoids. Just one cup of Swiss chard will provide you with over half of your daily supply of vitamin C. Among its many positive effects, vitamin C is an antioxidant, preventing free radical damage and reducing the risk of cancers like that of the colon as well as reducing the severity of inflammatory conditions like as asthma and arthritis. Choose chard with leaves that are vivid green in color and that do not display any browning or yellowing. The leaves should not be wilted nor should they have tiny holes. The stalks should look crisp and be unblemished. To store, place unwashed chard in the refrigerator in a produce bag where it will keep fresh for several days. Do not cook chard (or anything, really) in an aluminum pot, since the oxalates contained in the chard will react with the metal. Since the stalks are thicker in texture, they will take longer to cook than the leaves, so their cooking should be started a few minutes earlier. Boiling is better than steaming, since it will liberate the oxalic acid and make it less bitter. Note: When oxalates become too concentrated in body fluids, they can crystallize and cause health problems. For this reason, individuals with already existing and untreated kidney or gallbladder problems may want to avoid eating Swiss chard. One favorite way of preparing Swiss chard is to simply wrap the leaves around leftover vegetable and grain salad and roll into little packages. Baked in a medium-heat oven, this is an easy alternative to stuffed cabbage. Chard, like kale, always goes well with pasta. For instance, toss penne pasta with olive oil, lemon juice, garlic, and cooked Swiss chard. Or use it in place of or in addition to spinach when preparing vegetarian lasagna. Steamed Swiss chard is a tasty addition to omelets and frittatas. Both kale and Swiss chard are great in green smoothies. Blend together a banana, an orange, the juice of one lemon, and three chard leaves without the ribs. Adjust for taste and enjoy a hugely nutrition and delicious drink. Beat eggs and set aside. In a skillet, saute onions and garlic in oil. Stir in chard and basil. Cook for a few minutes until chard is wilted. Remove from pan and set aside. Wipe skillet and place over medium heat. Add half the chard mixture and half the egg mixture. Cook for three to five minutes or until brown on the bottom but the top is still liquid. Sprinkle with cheese. Flip frittata over; cook for another couple of minutes or until browned and completely set. Remove from pan and repeat procedure with remaining ingredients to make second frittata. Cut in pieces and serve on a plate with salad or inside pita halves. 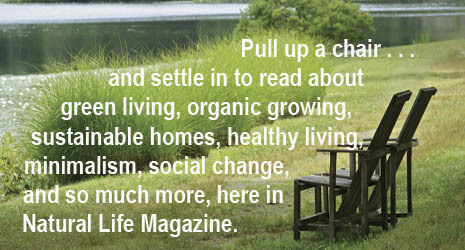 Here is another Swiss chard recipe from Natural Life Magazine's archives.